who will do their utmost to make your stay a pleasant one. 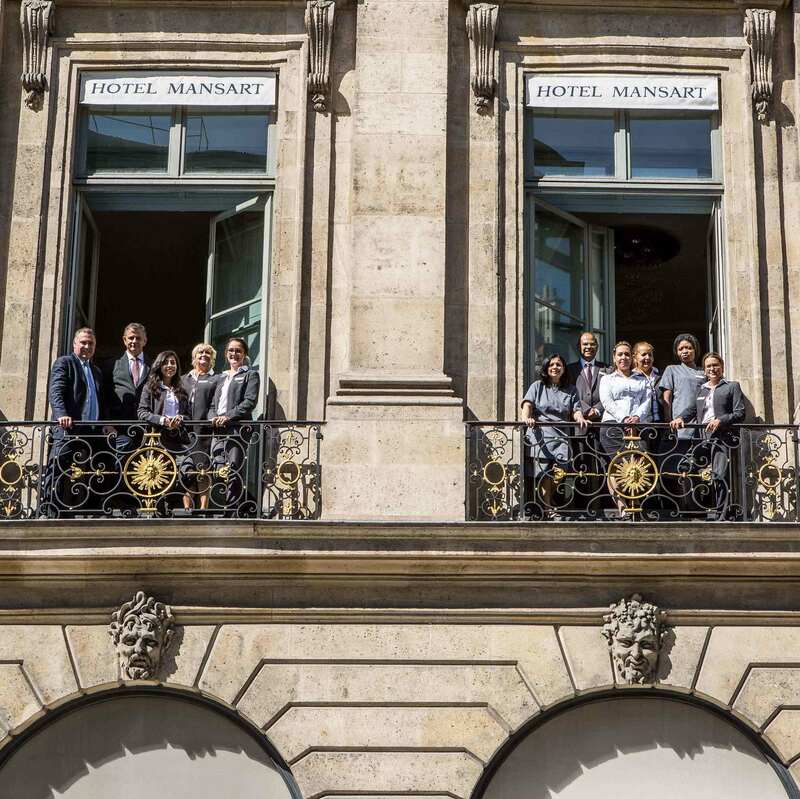 Margaux, Bénédicte, Carlos, Pushpa, Marie… The 25 members of staff at the Hôtel Mansart welcome our guests with total commitment. We are proud that 93% of our guests have been very happy with our service in 2017 (source: customer survey based on 952 questionnaires). From the moment you book until you check out of the hotel, Emmanuel Gamez, the hotel director, and his team are available to help with your requests and to make sure your stay is a success, whether you are here for business or pleasure. What are your values in terms of service at the Hôtel Mansart? Availability, sincerity, friendliness, always striving to do things well. A short while ago, a guest wrote to tell us that our team had surpassed her expectations. One of our members of staff had gone with her and her daughter to the metro to show them the right line to take and to help them with their luggage so that they could catch their train on time. This is what she wrote to us: "We will remember this act of kindness for a long time". Which two adjective would describe the state of mind of your team? "Helpful" and "kind" are two adjectives that you often see in our guests' comments.